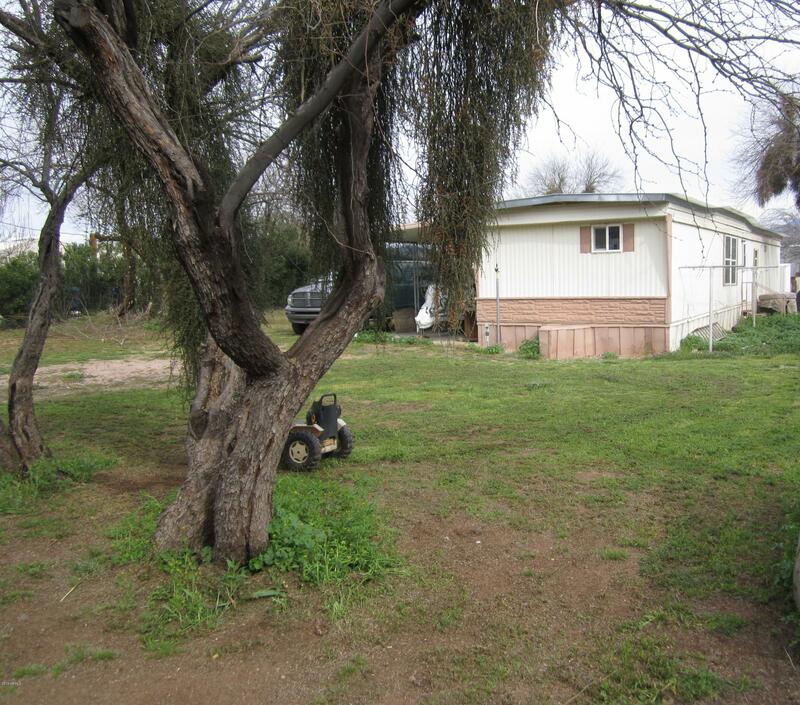 ".43 ACRE PROPERTY HAS 2 HOMES. 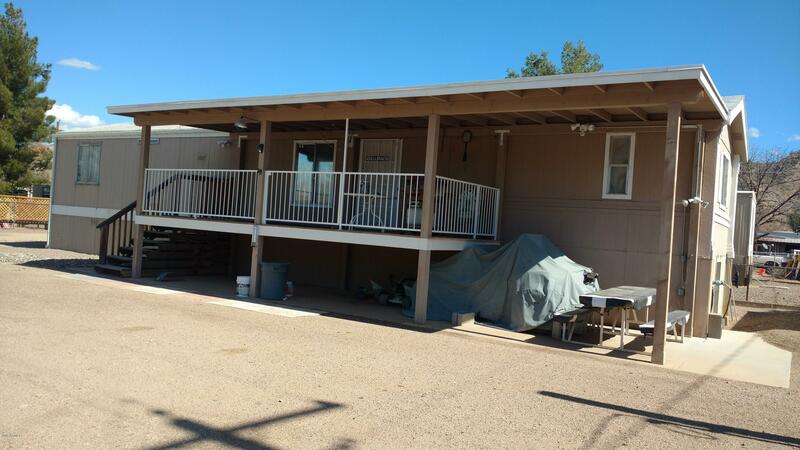 MAIN ONE IS 2 BEDROOM 2 BATH WITH SCREENED PORCH. KITCHEN HAS COOKTOP ISLAND, LOTS OF CABINETS. NEW WINDOWS AND NEW HEAT PUMP ARE INSTALLED. SECOND HOME IS A UNIQUE 2 STORY UNIT WITH A LOFT AND MULTIPLE BEDROOMS AND BATHS. KITCHEN HAS AMPLE COUNTERTOP SPACE . LIVINGROOM SPACE HAS AREA TO REINSTALL THE FIREPLACE. WITH THE NUMBER OF BEDROOMS AND BATHS, THIS CAN BE A GREAT PLACE TO HAVE EXTENDED FAMILY AND OR GUESTS STAY. 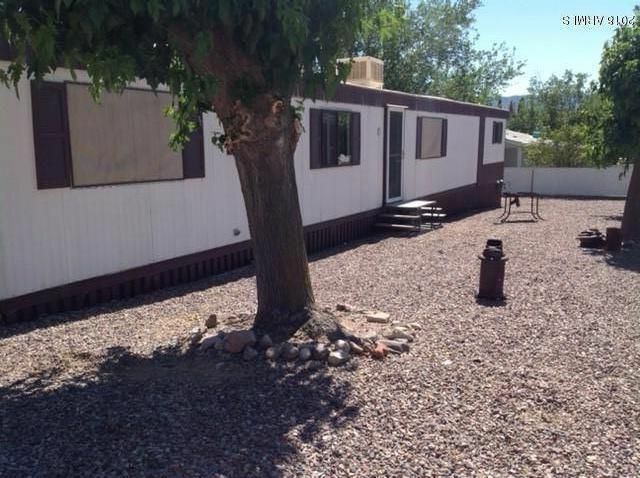 ON THIS LOT IS ROOM FOR FAMILY TO LIVE, WORK, "
"CUTE AND COZY MH IS 2 BEDROOM AND 2 BATH WITH OPEN LIVING ROOM. KITCHEN HAS NEWER WALL OVEN AND COOKTOP COUNTER. NEW WINDOWS. SPLIT BEDROOM PLAN AFFORDS PRIVACY. FROM BACK DOOR ENTER ONTO A LARGE COVERED PATIO. 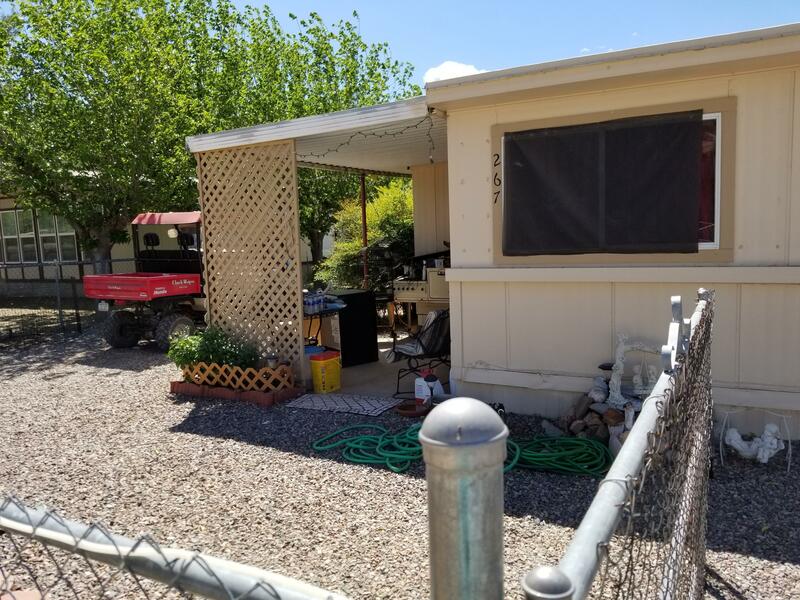 SIDE YARD HAS COVERED CARPORT AND OTHER SIDE HAS SPACE FOR ADDITIONAL PARKING.IN THE BACKYARD IS A LARGE SITE BUILT STORAGE BUILDING. ROOM FOR A GARDEN. A PORTABLE HOT TUB ON PATIO IS INCLUDED."